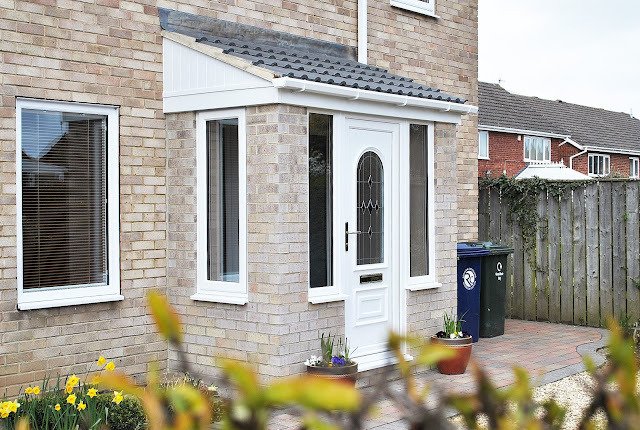 A Beautiful installation; A Porch, with large Side Windows, and beautiful UPVC 'Beverly' Front Door Design with modern Black Galaxy Lead and Bevel, glass design. This installation looks beautiful against the existing property and really enhances the entrance to this wonderful customers home. 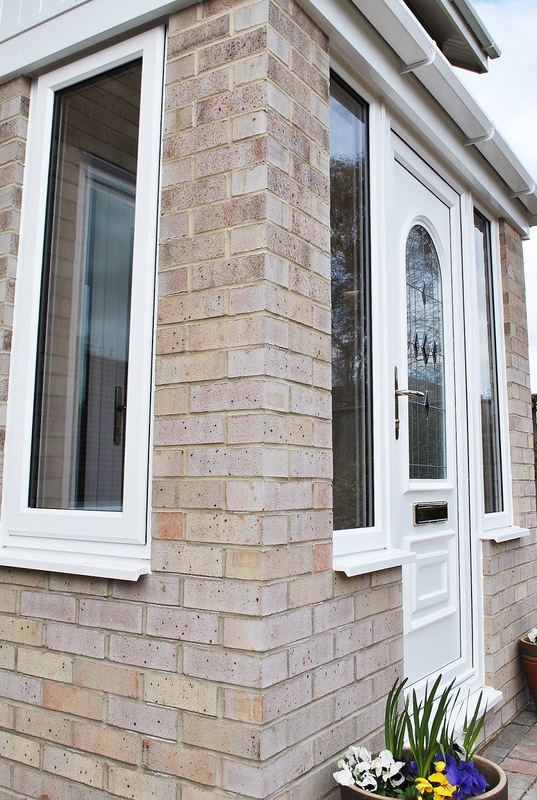 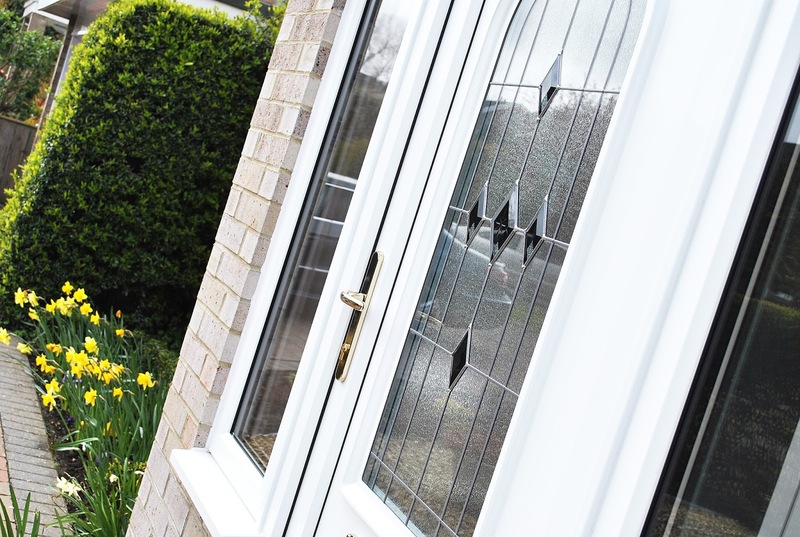 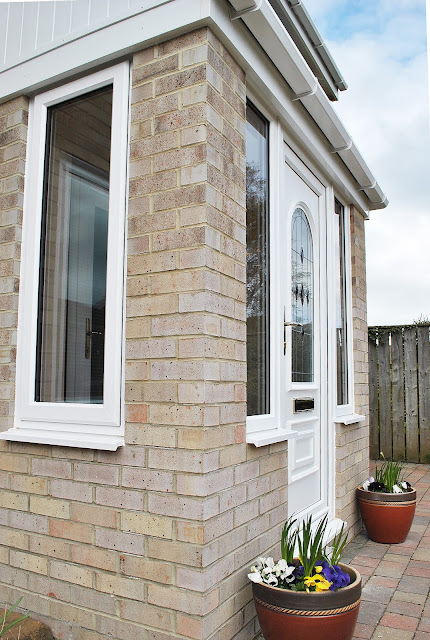 All the UPVC Profile used is high quality, rehau UPVC, finished off with golden fixtures and fittings. 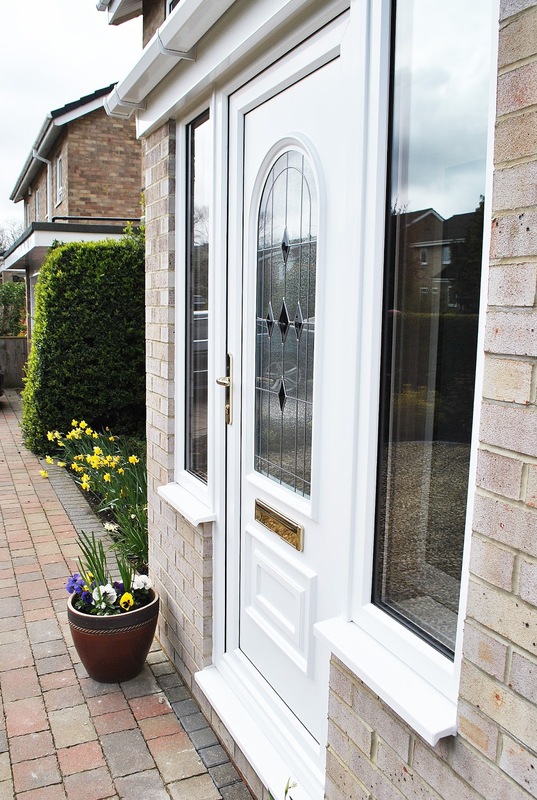 This Porch really adds to the entrance of this customers home, the Door Creates a elegant look.